Esben Storm (1950–2011) was a Danish-born Australian filmmaker, well known for his work on the Australian children’s television program Round the twist. In 2005, Jiawei Shen received a phone call from Storm asking to make a documentary about his career. ‘As a Danish–Australian he was excited about my portrait of Princess Mary of Denmark, commissioned by the National Portrait Gallery that year, and he was even more interested in my life journey from one of Mao’s Red Guards to an acclaimed Chinese–Australian artist,’ says Shen. When Shen agreed, Storm immediately visited his hometown of Jiaxing near Shanghai. In 2006, they visited Denmark together and in 2007 spent a month travelling around China. The result was a documentary entitled Goodbye revolution, which aired on SBS in 2008. Born in Shanghai in 1948, and now based in Sydney, Shen is a largely self-taught artist. He was very well known in China in the 1970s where he won the National Art Exhibition Prize five times. This is his 13th time as an Archibald finalist. He was named runner-up in 1997. 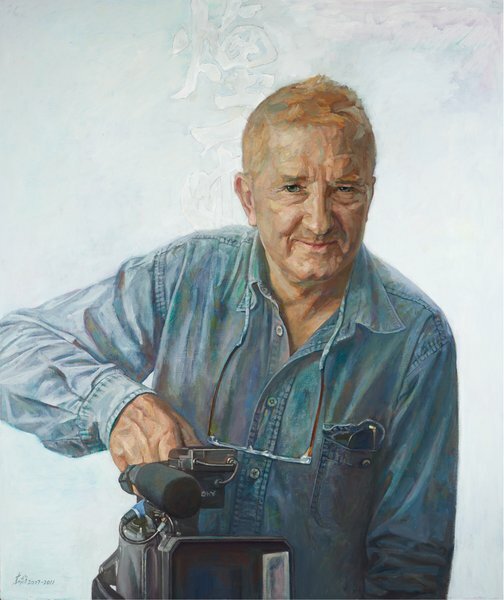 He won the Sulman Prize in 2006 and the Mary MacKillop Art Award in 1995. He is regularly commissioned to paint portraits including one of the Hon John Howard for Parliament House.